Showcase your logo on Non - Woven Quilted Tote, a practical storage solution that clients will love. 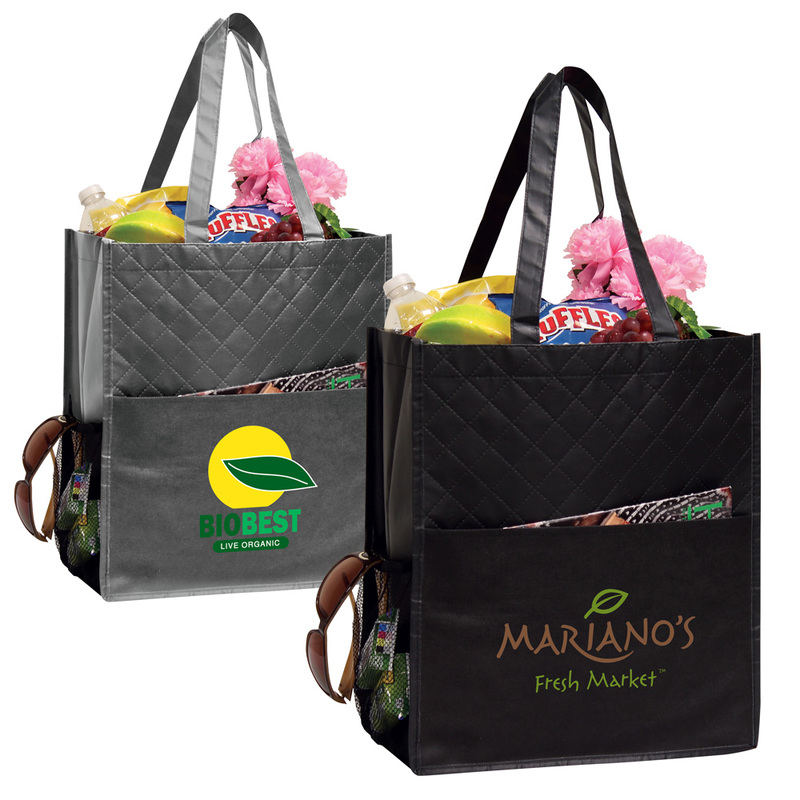 Fashionable and economical, the Non - woven Quilted Tote easily promotes your brand without breaking the budget. This tote is made from non-woven material and has a large main compartment to store your belongings. It has a front open pocket and a mesh pocket on the side. A cardboard at the bottom gives the tote reinforcement, durability, and stability. Add your business logo on the tote bag and give it away at carnivals, bag expos, trade fairs, malls, corporate and community events and effectively promote your brand to new and loyal customers.